The Nabi 2 has proven itself to be a powerful kid friendly tablet in my home as I purchased it for my daughter who is now 7 years old. 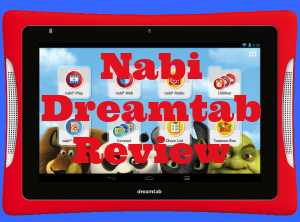 This Nabi 2 Review takes an in-depth look at not only the technical specifications of this tablet, but also my personal experiences with how it has performed. 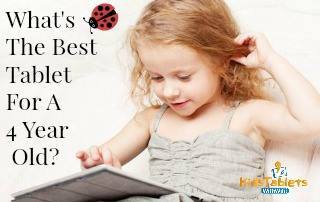 Nabi 2 is instructively one the most powerful tablets for kids. It has a large number of kid’s friendly apps and a large protective case which makes it really kid tough. Against many other reviews we’ve decided to give this children’s tablet ranks 4.5/5 overall as it’s a powerful little tablet with a lot of potential. The Nabi 2 tablet is primarily designed for use by kids aged 3 to 6 but my daughter is still enjoying it well into 7, and it still proves to be a very good educational tool and entertainment system for her. Some tablets are cheap to buy, but the apps, cases, games, and other accessories are very expensive. Others, like this one and the iPad, are pricier but apps are cheaper. On the other hand, Nabi 2 is potentially a real tablet that can be used by kids to play and learn as it has significantly more power than other tablets for kids. The price range for the Nabi 2 is about $199, which makes it one of the most expensive kid’s tablets, but it has good reason for being this high as it features brand name computer components. My daughter is very hard on her toys, especially the electronic ones. This one has already stood up to almost a year of abuse from her. The case and bumper on the Nabi 2 have been designed to withstand rugged activities such as sliding and falling. This also means that you can carry it along with you in backpacks and on car trips. My daughter actually dropped this one on the steps just last week and it proceeded to slam into the door at the bottom. I thought for sure that it was done for. She brought it back upstairs to me and upon inspection it surprisingly didn’t have a scratch on it. The customer service over at Fuhu is simply amazing. I recently had to call as I had forgotten what the password was to get into “daddy” mode. First, I actually got on the phone with a REAL person in less than 2 minutes. That alone impressed me. After that, they had my password issue resolved in less than 5 minutes. I noted that the customer service representative was very friendly and professional and actually gave me his direct number in case I had any more issues arise. In regards to warranty, the Fuhu Nabi 2 warranty is good for a full year from the date of sale, although I have yet to have to personally use it for anything. Once again, these things are built pretty tough. The Nabi 2 uses a long-lasting 4,000mAh battery capacity. I have noted this tablet lasting well over 6 hours and that was with my daughter playing Minecraft PE on it the entire time. Recharge time for the Nabi 2 takes anywhere from 4-6 hours depending on how low the battery is when you put it on to charge. If the tablet is completely dead, it can take up to 6 hours for the batteries to recharge fully. The web browser is set under white list control, which means that you have to approve each site before your child can access them. Parents can get progress report from learning games data, in addition to selecting a range of songs that best suits the kids. Skype is available on “Mommy and Daddy” mode; which means kids cannot initiate any calls without parental approval. It’s also good to note that no purchases can be made on the tablet unless it’s in “mommy and daddy” mode. Although, you can grant coins to your child from the parent modes which let’s them make their own purchases from Nabi. This is one of my favorite things that the Nabi 2 offers as I’m able to go in and create a chore list for my daughter. Once her chores are complete, she can bring the tablet in and we can check off her chore and homework list and then give her Nabi coins for completing the list. She is able to see how many coins she gets per task, and it has became a really great way to teach her about money, and the ability to save money until she has enough to purchase something she really wants. in the Nabi store. The University app can be used to train children in a number of skills. There are also four primary educational apps – namely Social Sciences, Math, Science, and English which feature colorful and easy to navigate interfaces and quizzes. As children master different levels in the University app, new challenges and levels are unlocked. Nabi 2 comes with preloaded videos, apps, kid’s music and games in addition to applications that can be enjoyed by both kids and parents. One nice thing to note is that Fuhu recently enabled the Nabi 2 to be able to use the Google Play store which has unlocked a LOT of new things in regard to the growth potential of this tablet. One thing to note here is that regardless of what apps are installed on the Nabi 2, you must transfer them off of the parent modes so that your child can use them. I have found this to be a nice feature as there are some apps such as YouTube which I keep on parent mode as I don’t want her to have access to it unsupervised. Once again, the Nabi 2 now supports the Google Play store and there are many different games and entertainment options available through that outlet. One such example is Netflix, however there is no way to setup the kid only mode on the Nabi 2 at this time, so use with some caution. There is also a TV app on the Nabi 2 called Spinlets+TV which features child friendly television shows and includes a lot of great educational programming. The one thing that my daughter enjoys more than anything else it seems is the Minecraft PE game. I have to admit that as a gamer, I have been very impressed at just how well the Nabi 2 has been able to handle Minecraft. It is very comparable to my son’s Kindle Fire HD in how smoothly the game runs. Nabi 2 runs on a NVIDIA Tegra-3 processor. You can add additional memory through the use of a MicroSD card which is strongly recommended as the Nabi 2 only has 8GB of internal memory and it tends to slow down almost to the point of being unusable if the memory fills up. One more thing to take into consideration in regards to memory is to make certain to check if you are running low on memory as to how much the camera has recorded onto the device. When I first got this tablet for my daughter, it was slowing down after just a few days. I knew that there weren’t a lot of programs and apps on it yet so I checked the video. She had managed to almost completely fill the systems memory with several hours of video from her camera. After clearing them out, the tablet was working great once again. The Nabi 2 can run some of the most demanding applications including HD content applications and games. System specifications for the Nabi 2 include; a dual core 1.3Ghz quad-core Tegra 3 processor, 7-inch (1024 x 600) capacity display, 2MP Front facing camera with 720p video capture, 8 GB storage, 1GB of RAM and a MicroSD slot. The Nabi 2 operates using Android 4.0.4 OS and features 3.5mm headphone jack, miniHDMI and microUSB ports. This little tablet is sure to impress you at just how quickly it can process data. I know that I have been very impressed multiple times in the last 10 months. The Nabi 2 can be customized to some degree by purchasing different colored bumper cases. These are a little on the pricier side though and run almost $30 each. If that isn’t a concern for you however, there are some really neat ones and one even glows in the dark! With that said, there are several different unique bundles available including a Nickelodeon bundle as well as a Disney Bundle. While this tablet is a little more pricey on the front end than competitors, you will save a small fortune when it comes to software and entertainment. The tablet’s ability to grow with your younger child coupled with its stout durability makes it one that will be an asset to your family for several years. All in all, I do not regret my decision to keep this one for my daughter, and I can honestly say that you would most likely be satisfied with this company as well. Thanks for reading this review, and best of luck while searching for a great tablet for your child!